Today, Azerbaijan holds a worthy place among the most stable states of the world, going on path of dynamic development, the Chief Editor of the SES newspaper, political expert Bahruz Guliyev told Trend. He was commenting on the meeting of the Cabinet of Ministers dedicated to the results of the socio-economic development of nine months of 2018 and the upcoming tasks, held under the chairmanship of President Ilham Aliyev on October 9. The political strategy of President Ilham Aliyev underlies this achieved success, he added. The expert noted that the stability is important for the development and progress of any region. There is no chance of sustainable development without a stable and safe environment. "Touching on these factors, the head of state stressed that security, order and stability are maintained and strengthened in Azerbaijan. Balanced, purposeful and successful policy underlies this success. Despite the fact that Azerbaijan is in a region where there are conflicts that have a negative impact on a number of progressive initiatives, Azerbaijan is taking decisive steps, strengthening its position in the international arena. All these are one of the visual indicators of purposeful policy of the president." "The head of state also stressed at the meeting that external risks must be taken into account in order to ensure consistent development, the systematic work must be done to prevent such risks. Thanks to the determination of President Ilham Aliyev, these risks have been eliminated. 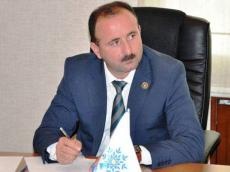 One of the priorities of the policy pursued by the president is to ensure implementation of social policy, the main goal of which is to provide a comfortable life for the Azerbaijani people, external risks have been eliminated thanks to the wise policy of the leadership of the country, and the wide ways have opened for the implementation of the upcoming tasks." Guliyev also reminded that Azerbaijan is implementing big projects, organizes important international events on the global scale. "Azerbaijan is on the forefront of the events held in foreign countries. Accordingly, just this fact should be regarded as the highest personification of the authority of President Ilham Aliyev," he said. "As the head of state noted at the meeting of the Cabinet of Ministers, this year alone he made 12 foreign visits, and the heads of 15 states and governments arrived in Azerbaijan. The significance attached and the attention paid to Azerbaijan is the proof that our country is a reliable partner, a decent and faithful neighbor, because, as stated by President Ilham Aliyev, our words and actions coincide. Of course, these successful results stimulate dynamic development and progress of the Azerbaijani people, the Azerbaijani state. All this is the real indicator and successful result of the policy and strategy of President Ilham Aliyev."